Have you ever tried to play a video but haven't been able to because it was recorded in a format incompatible with your device? Or how about realizing that your MP3 player doesn't support the audio files you've just downloaded? Or you might have wanted to convert a PDF to Epub to read it more comfortably on your Kindle? 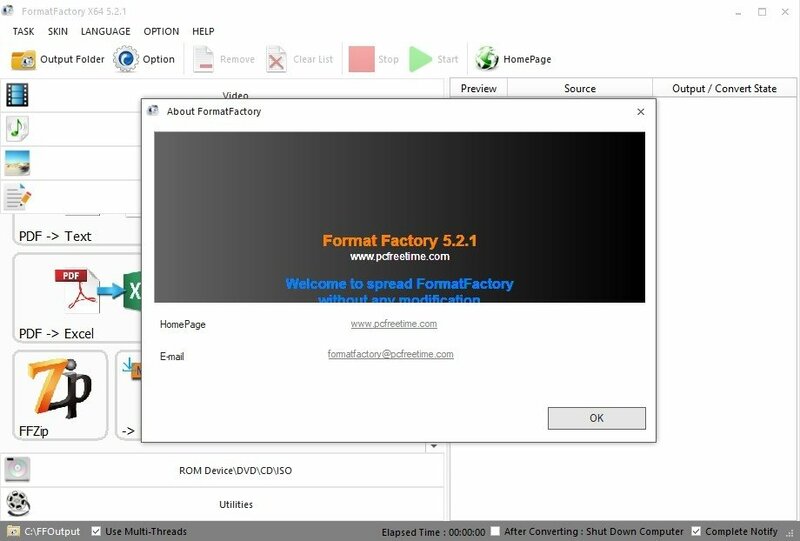 Don't worry, there's a solution for everything, especially if you've got Format Factory on your PC. It's basically a format converter for any kind of file, whether video, audio, documents or images. With the latter, you can make your multimedia files compatible with any mobile device or make them suitable for the web in a matter of minutes. The best multimedia converter for Windows 10. 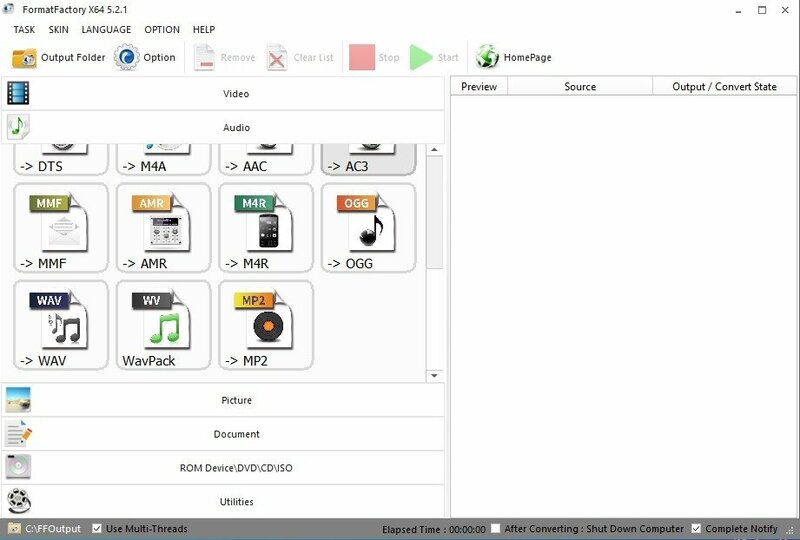 It's compatible with loads of different formats and not only can it be used to convert one format to another, but also allows us to merge videos, create a single audio file from different tracks, rename batches of files and even multiplex an audio and video file to create a single movie. Convert any audio, video, image or document to a different format. Rip DVD contents to save them on your hard drive. 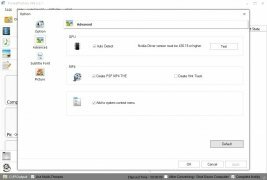 Merge multiple audio or video files. 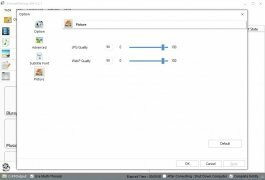 Rename file batches and repair damaged multimedia files. Compress multimedia files to reduce their size. Make songs and videos compatible with the most popular web and mobile formats. 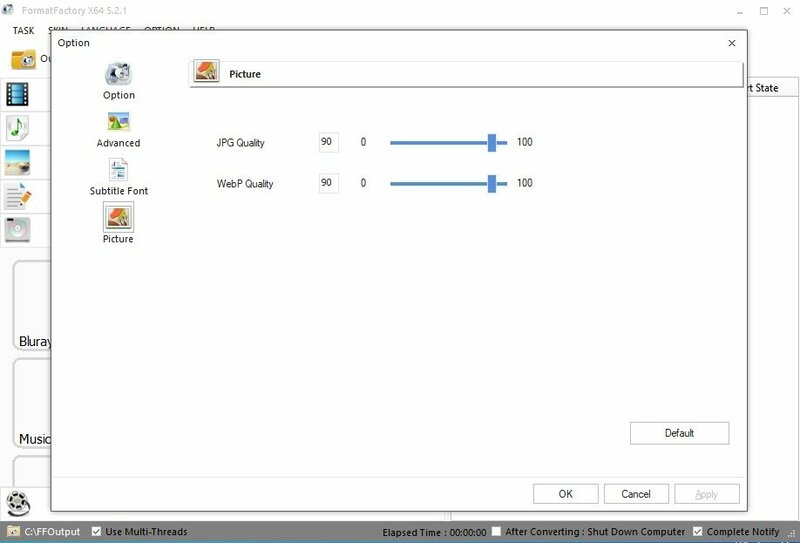 Crop audios and videos to adjust their size and length. Allows us to adjust the quality of any multimedia file. Video: MP4, 3GP, MPG, AVI, WMV, FLV or SWF. Audio: MP3, WMA, AMR, OGG, AAC or WAV. Images: JPEG, BMP, PNG, TIF, ICO, GIF or TGA. Documents: PDF, Mobi, Epub, AZW3 or HTML. Rip DVD to video files. Once downloaded and installed, it's very easy to use, especially when it comes to using its main feature such as video conversions. Don't be fooled by its overwhelming interface and almost endless options. Step 1: Drag the file to the application or add it with the Add File button. 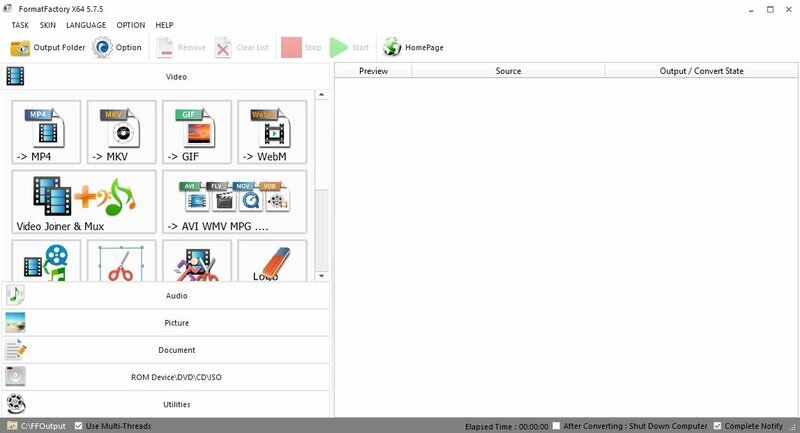 Step 2: Choose the format to which you want to convert the file. 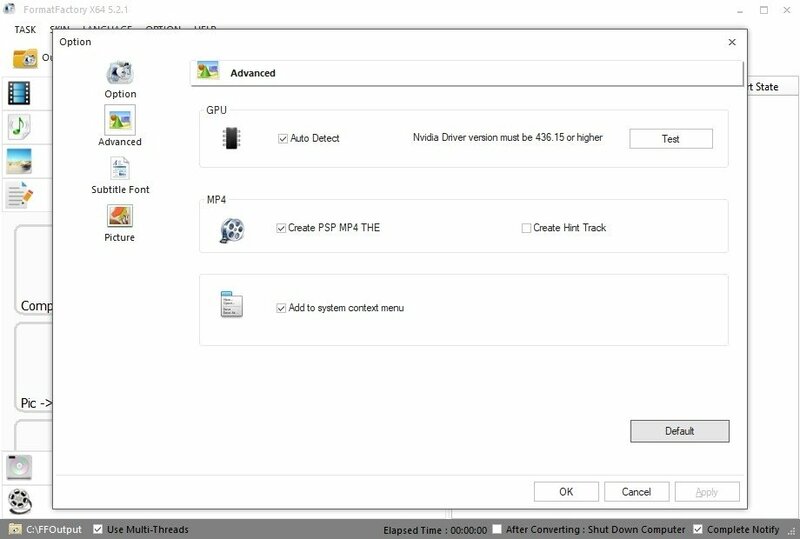 Step 3: Choose the option Adjust Output to modify the features of the converted file: size, video encoding, subtitles, bitrate, watermarks, etc. Step 4: Press the Start button and wait for the program to do its magic. You can see the estimated time left to complete the conversion on the lower bar. 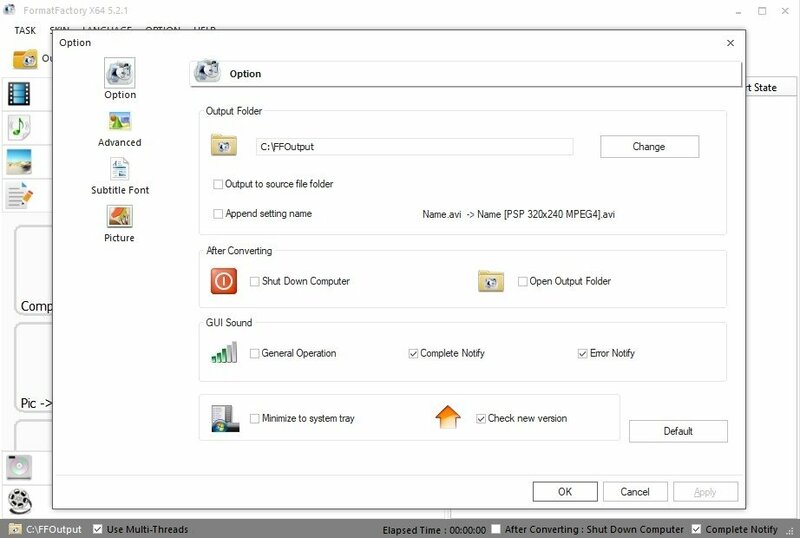 Step 5: The converted video will appear in the folder defined for such purpose in the program's settings. 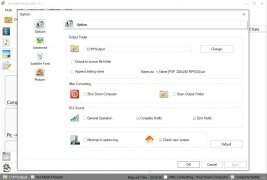 Better than Freemake Video Converter or Total Video Converter? Yes, we're talking about the best multimedia format converter without no doubt at all. 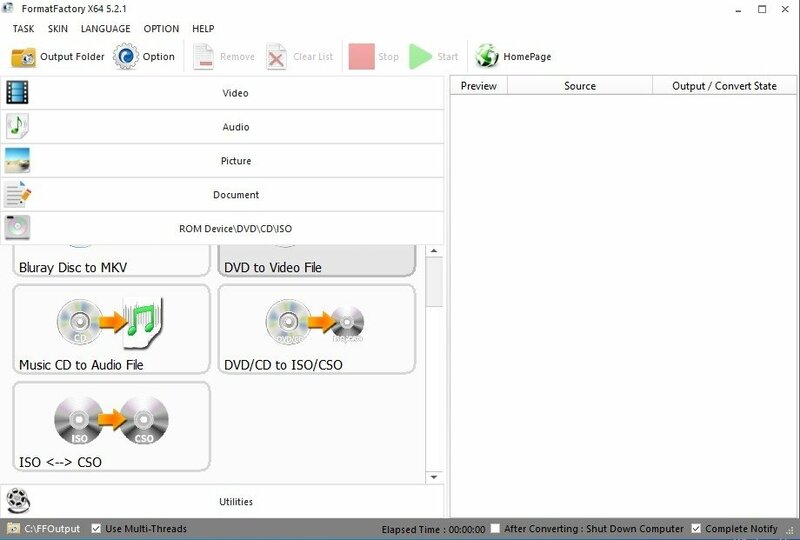 It's much more complete than other alternatives such as Freemake Video Converter or Total Video Converter. Its utility section makes it unbeatable right now, and it also has a Portable version to take with us wherever we ant that gives it a greater advantage over its competitors. However, it isn't perfect. Many antiviruses consider its installation file as malware as it usually installs unwanted toolbars in our browser. It doesn't contain viruses but its adware can be somewhat annoying. Fixes bugs relative the bitrate and subtitles. Fixes problems with MP4 Muxer.